A natural athlete with a background in gymnastics and diving, Sara Ferrara is a dual citizen of Mexico and Finland, adding to the international appeal and spectacular range of talent to the powerful Connecticut Nor’Easter squad. Sara is ranked in the top 20 in the world for scratch races after decisively winning 6 National Mexican Track Titles and 3 Pan American Junior Championships in endurance events. 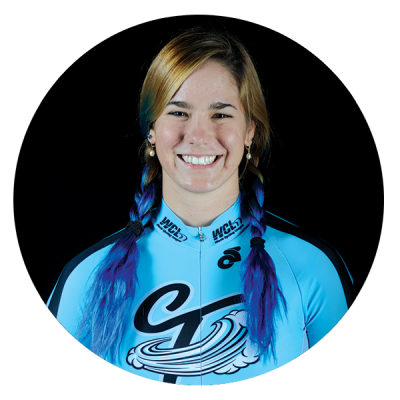 Although fearsome on the bike, her bright personality engages the crowd and motivates her teammates, putting her at the forefront of World Cycling League stars.